To continue the wild race to the top in the 2016 PFF Women’s League, the De La Salle University Lady Archers grabbed sole position after solving the Hiraya FC puzzle. But La Salle should credit the Ateneo Lady Eagles for helping give them the lead as they stunned former league-leaders UST Lady Booters. Eager to move on from their loss last week, the University of the Philippines Lady Maroons hit the ground running, scoring within minutes after the opening whistle – with Mary Rose Obra’s 2nd-minute strike now the fastest goal scored in the league so far. UP created a dozen more chances later but lacked the quality in finishing them. 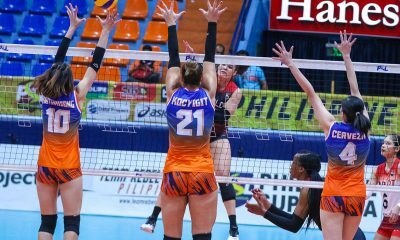 Their frustrations gave Fuego Espanya confidence, as goalkeeper Diana Rose Redondo denied shots and thwarted breakaway runs. It was Obra who picked things up again for the UAAP champions, as a shot inside the box padded their lead with five minutes to spare. Two minutes later, she struck again with an emphatic long-ranged effort to complete her second hat-trick for the league. “[It’s all] team effort. 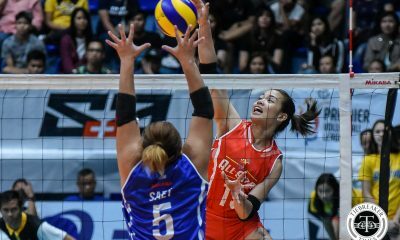 I can’t get it naman there if my teammates are not working with me,” Obra said of her exploits. But as the only scorer for UP so far, she hopes her teammates will pick up the pace soon. “Kasi kailangan na it’s not only isang tao yung gustong gumoal, kailangan lahat nagsa-strive na mag-goal talaga. As of now feeling ko below average kami. Masyado kaming naging kampante. Okay naman yung mga passes and all pero yun lang attacking-wise, finishing, so bad,” Obra added. Her coach Andres Gonzales explained that it may have something to do with their practices. “What we do now in training is step-by-step, we worked on the backline first, and then midfield now. So, medyo na-neglect yung shooting, finishing, and crosses. So, for the next game, that’s what we’ll be working on,” he admitted. 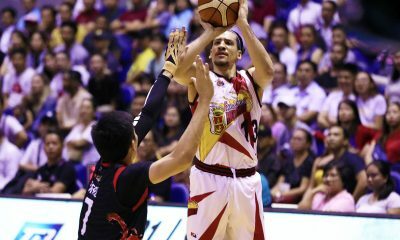 Nonetheless, Gonzales was happier with the team’s effort this time. “In terms of making the necessary adjustments especially sa midfield, I thought we did better. Even though the opponents–a lighter challenge compared to the last one–but in terms of yung shape, decision-making, especially sa midfield, getting themselves into good receiving positions, so much better,” he commented. 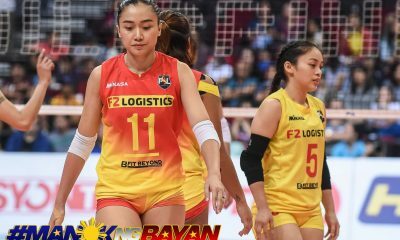 Fuego Espanya’s Kristin Joi Comia also felt their team had done well. In the battle between club teams, it was OutKast FC that had the upper hand over Green Archers United. Controlling much of the game, OutKast had a slew of scoring opportunities yet the match remained scoreless going deep into the second half. 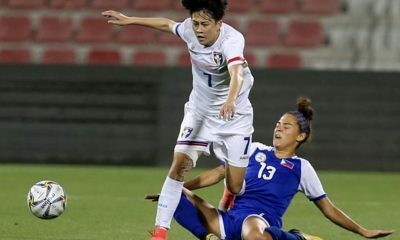 A substitution later in the game proved vital, as Jennizel Cabalan enhanced OutKast’s attack, leading to a goal in the 80th minute when she assisted Marianne Narciso, who simply smacked the ball into the empty net. Four minutes later, Cabalan did another one-two combination with Lindsay Whaley inside the box, doubling OutKast’s lead. OutKast’s last goal came from Cabalan herself with three minutes to go before full time. Narciso admitted she had been relieved when her team scored near the end of the match. “Nagkaroon kami ng hope na mananalo talaga kami,” she said. “Nakaka-frustrate [kasi nung simula], nakakainis. Wala kaming teamwork, hindi kami nagko-communicate,” she commented, referring to her team’s problems with finishing, especially in the first half. 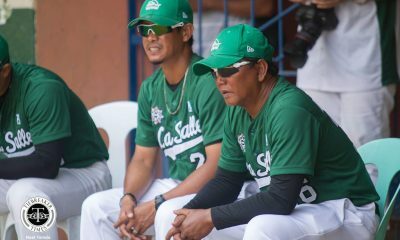 OutKast coach Rhea Penales shared Narciso’s frustrations, while also pointing out questionable non-calls. “Siguro hindi ako naging happy dun sa officiating. 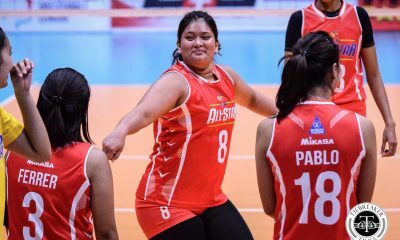 Sabihin nating offside talaga o ano, [pero] may mga tackle from behind, medyo hindi talaga tumatawag yung referee,” she insisted. Penales also said that once the team started scoring, the players shrugged off their frustrations. “Medyo lumamig na yung ulo nila. So lagi ko lang sinasabi sa kanila, focus lang, yun lang. Every game, and then enjoy. Yun naman napaka-importante eh,” she added. Penales also praised Cabalan. “May difference yung pagpasok ni Junjun kasi fresh legs! Maganda naging sub siya, kasi fresh legs plus mabilis tumakbo. So pagod na yung kalaban, meron pa kaming runner sa harap. Kaya ine-expect ko makagoal din talaga siya. Galing sa labas, fresh legs, plus national team. Naka-assist, naka-goal! 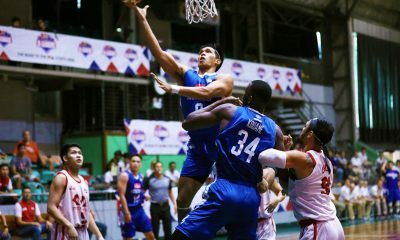 Yung 1-on-1 niya maganda talaga eh,” Penales enthused. Meanwhile, GAU assistant coach EJ Hernandez thought her team had done well for the day, considering they only had few substitutes to work with and her younger players had already been tired from another game earlier in the day. “Just a few lapses with the defense, actually that was it lang naman. Those goals were just really lapses on the defenders’ part. And they were good through balls also, so it was really hard to match that with the speed of the wingers and us being tired. It was really hard to run after them,” Hernandez said. 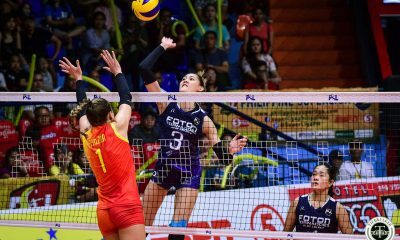 The Ateneo de Manila University Lady Eagles were determined to put last week’s humbling loss to the De La Salle University behind them, but the University of Santo Tomas Lady Golden Booters did not let them have their way. Ateneo thought bad luck was still hounding them when Mary Joy Indac put UST ahead in the 27th minute. The ladies in blue nervously tried to counter as the Thomasians appeared content to drop back. This proved to be their undoing, as Mia Catedrilla leveled the scoreline four minutes before halftime thanks to a pass from Veronica Siy, who had sped down the right flank. The Ateneans continued to build momentum in the second half. Their efforts paid off in the 57th minute, when Nona Amoncio slotted in a Camille Rodriguez cross from the left. With UST stunned and Ateneo playing a more relaxed game, substitute Tessa Bernardo put the icing on the cake when she scored the third and final goal on a breakaway with a minute to go to full time. 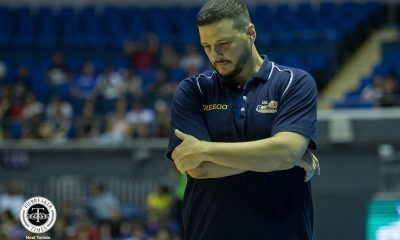 After the game, Amoncio looked back on the team’s frame of mind after the loss to DLSU. “The team handled the pressure and the loss well, I think every one really just encouraged each other to work hard [for] this game particularly. And since [the] mindset is we have a lot more games compared to UAAP, like this is a bigger league, ang dami at mas maraming kalaban. We really told each other that we should take it game by game,” said the tenacious winger. 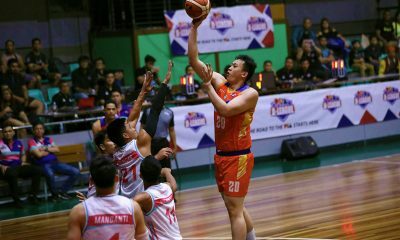 “[We want] to really set the momentum on the team because we’re all adjusting to each other as you can see, maraming bago, like that,” Amoncio added, pointing out that the team is a work in progress, with so many new faces. Ateneo mentor John Paul Merida revealed his side have been struggling to get over the loss last week. “From the start sa dugout nung tinitingnan ko sila, parang hindi sila ready to play against UST because siguro [naalala yung first game]. Maganda lang siguro nangyari dun nung nag-concede sila ng goal, they realized na hindi ito puwede mangyari. So I talked to them during halftime, alam naman nila kung paano, ano yung plano, ano yung gameplan. Pero medyo yung mentality nila hindi pa sanay. Hopefully during the next games sana maging tuloy-tuloy lang,” Merida explained, happy that his wards found a way to cross the hurdle. 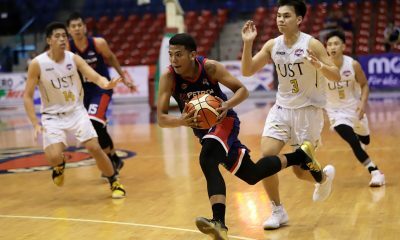 Previously unbeaten, UST coach Aging Rubio was worried a game like this against a UAAP team would happen but seemed to imply that there was not much that can be done given the circumstances. 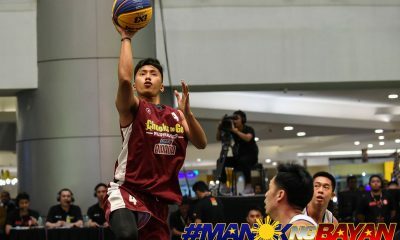 “Ayoko namang gawing excuse yung finals nila, pero ang nangyayari talaga ‘di maiwasang light yung training. Tapos puro kami kain kasi maraming–tatlong Christmas party yung nasalihan namin. Wala talaga, kumakain pa, walang training na maayos. Kailangan ko sanang makita na kahit medyo pagod, magagawan nila ng paraan na kahit hindi sila tumatakbo, magawan nila ng paraan kung paano maiwasan na yung errors at ma-control yung game. 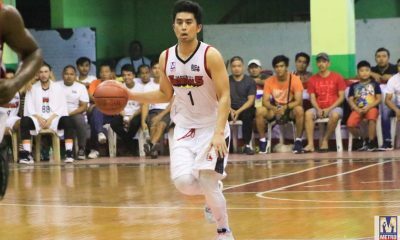 Kaya lang hindi yun nangyari, kaya kami natalo,” Rubio conceded. 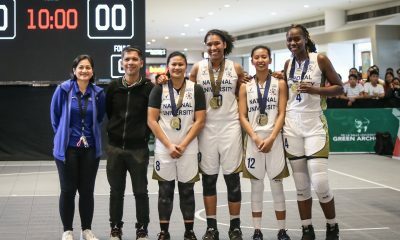 The loss of the University of Santo Tomas meant that the De La Salle University would have the chance to take the top spot from them. In their way was a defiant Hiraya FC, who could have denied them this opportunity when they adopted a very defensive style. Hiraya bunkered down, leaving only one striker in front, while the rest dealt with La Salle’s offense that was effectively neutralized especially in the first half. But La Salle changed it up in the second half, as they had better attacks triggered by re-energized wing play, with only Hiraya keeper Gely Tiu’s heroics keeping them at bay. Then on the hour mark, DLSU had their breakthrough. A cross from Nicole Andaya from the left found Kyra Dimaandal, who headed it in, and that was it. 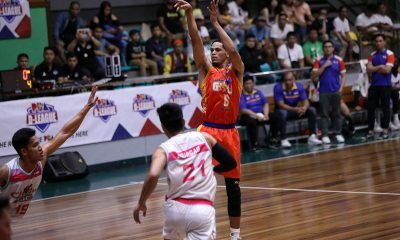 “First half we were kind of asleep, because the defense of Hiraya was very compact. There were like two guys covering one person. 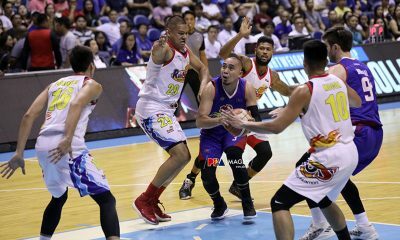 They really had a compact defense it was hard to break their defense and get through balls,” Dimaandal contemplated later. 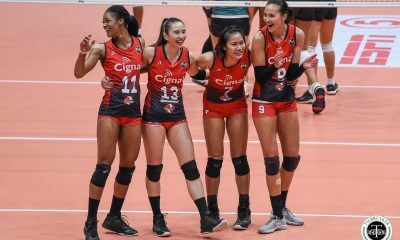 “Kyla [Inquig] and I couldn’t move up, we can’t see where we can run, and coach told us to wake up during breaktime [and he] told us that we should have a higher intensity and that we can beat them fitness-wise so that’s what we did. We tried to think of our runs, we tried to think of plays that could beat them and outsmart them,” Dimaandal added. Hiraya FC coach Philip Dinglasan later admitted that parking the bus had been their only option. “We were able to at least tactically adjust to their game and I think we could’ve gotten a better result pero the [0-1] is actually a good result for us already. At best [we wanted a] draw. Of course, what we want to do in the league is to get as much points as we can every match. [But] La Salle were able to adjust to what we were doing. 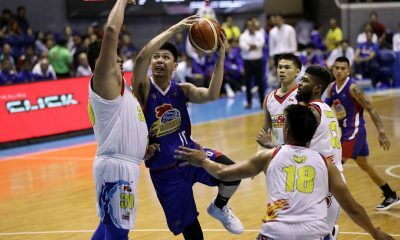 That caused a lot of trouble for us because in the second half obvious naman dami nilang attempt against us,” Dinglasan said. Even with his team now the new leaders of the league, DLSU’s mentor Hans-Peter Smit remained dismissive. “It’s only been three games, we still have a long way to go and there’s another round. I didn’t like the way my team played. I know they lacked luster. I just told my wings for the second half, since your strikers are not doing that much, you do more work. You have a chance to break it because you can beat the wingbacks naman of Hiraya because they’re not fit so go for it,” he said. Smit remains wary of his team losing focus, especially in preparation for the coming collegiate season. “It’s dangerous eh, I was so mad. I’m not only looking at this game, eh. This for me, we’ll do well here in the women’s league, then fine. We don’t, okay lang. 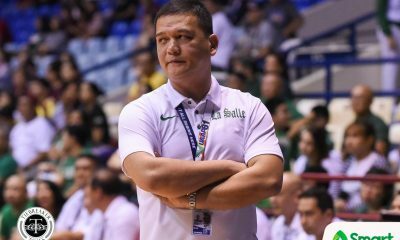 What I’m after is that the team plays the way they’re supposed to play for the UAAP,” he expounded. Smit was also clearly unsatisfied when he pointed out that despite Hiraya’s defensive stance and familiarity with their style, his team should have done better. “Yeah, [Hiraya] were completely defensive. I mean, with one striker. They would never attack. And Ding [Dinglasan] was my coach before, so he knows my style. I knew they were playing low, first two minutes palang, alam ko na. These girls, my system is to beat a low-pressure defensive team. 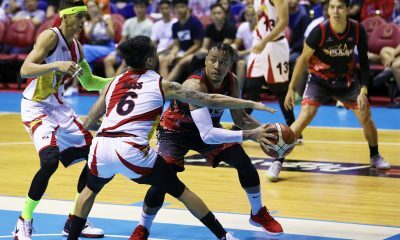 It’s just that, yun lang, walang intensity,” Smit observed. Kim Cupal opened the scoring for the Far Eastern University inside five minutes after her shot was deflected and landed in the top corner. She later assisted captain Jovelle Sudaria, who only had to nudge the ball forward into goal in the 13th minute. A handball in the 28th minute caused Kaya to concede a penalty, which Sudaria duly converted. Kaya cleaned it up in the second half, almost shutting out FEU, until Sudaria’s cross found substitute Katherine Dacanay’s head in the 69th minute. Even despite scoring a brace and securing a win, Sudaria felt the team still had a lot to work on. “Hindi pa rin kami satisfied kasi nga hindi pa rin namin nabuo yung play. 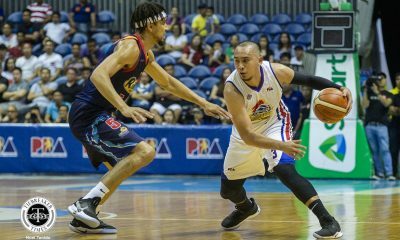 Tapos parang di pa rin kami satisfied dun sa game namin kasi madaming lapses ‘tsaka mga missed passes,” Sudaria explained. FEU coach Let Dimzon seemed pleased, but also said her team had been trying to accomplish several objectives. “Maganda lalo na yung first half with regarding sa passing. So makikita mo yung play, and then yung quality. Although yung target namin is to score more goals for this game. And then, although hindi namin na-reach yung target pero since gusto ko lahat na players makalaro. 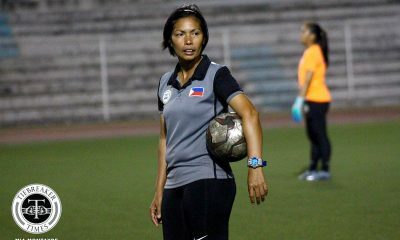 Dimzon also made sure to compliment Kaya FC, who feature many players she had previously coached on youth national teams. 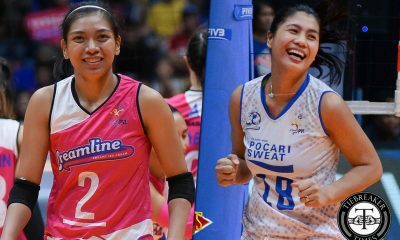 “Kasi na-amaze rin ako sa play ng Kaya, maganda rin yung touches nila and then yung distribution and passing. Hindi ko inexpect din na ganun kaganda yung play din ng Kaya,” she added. Kaya FC’s manager Ramon Almeda was just as pleased. “I like the way the girls played. That’s the only thing we want to put a cross also, we have young girls, we have a young team but look how they play,” Almeda said. 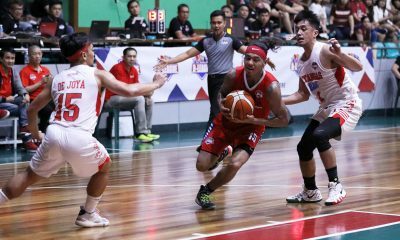 His team’s coach Steve Nicholls echoed his sentiment, not minding that his side lost another game. “I’m not interested in the result. What I’m interested in is these girls’ developing. And these girls are developing in a very big way. If they keep going the way they’re going by the time they reach the level of these [other] ladies or the age of these ladies, they’ll be good players. And they will be a very good team. If I can produce a player, I’ve got 15, 16 and 17 years olds who represent her country as a lady in the next four or five years, I’ve done my job. And that’s what it’s all about,” Nicholls remarked. He was also careful to point out that teams should not be taking them lightly. “So as far as I’m concerned, really happy with the girls, they’re moving in the right direction. Can you imagine what I would do with them if I did have them five days a week? Teams would have to watch over their shoulders. But they got to have to now anyway, if they don’t take us lightly. Don’t take us lightly because we’re going to come and get you,” Nicholls said with a grin. The PFF Women’s League will hold their last games for the year this coming weekend. First up are Hiraya FC and the Younghusband FA at 2:00 P.M. followed by the Katipunan Derby of UP against Ateneo at 4:30 P.M. on December 17. 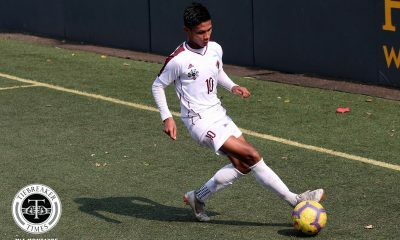 FEU and La Salle play the 2:00 P.M. game on December 18 followed by OutKast FC and Fuego Espanya at 4:30 P.M. Green Archers United FC and Kaya FC close out the year at 7:00 P.M.